Health care is an important aspect of an individual’s life that needs to be focused on. The cost of health treatment has drastically increased over the years and it will rise further in the years to come. It will gradually become tougher for a commoner to get the best of health care. In this article we will discuss various ways in which one will be able to take good care of their health and effectively avert health risks or threats. Proper food – It has been researched by scientists that majority of those who suffer from adverse health conditions have a bad feeding habit. One will be surprised to know that even those residing in the developed countries, such as the United States, suffer a greater risk of obesity and heart diseases because of their unhealthy feeding habits. Fried or fast foods contain a lot of saturated fat that gradually increases the amount of bad cholesterol levels in the blood. Excessive weight gain has been found to be the prime reason of various other diseases. It can trigger a host of diseases such as asthma, high blood pressure, diabetes, heart attacks, and others. Therefore, one must practice a proper food habit that contains more fiber, unsaturated fats, vitamins, and other nutrients. Exercise and Diet– Exercise is one of the most important and effective way to maintain good health. Cardiovascular exercises especially offer a lot of help to patients who are suffering from the above mentioned diseases. However, it must be remembered that proper exercise should be coupled with proper diet to get the best effect. 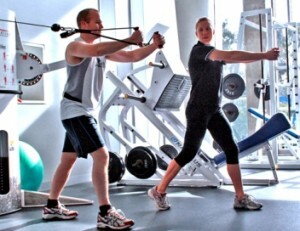 One can also hire a personal instructor who will understand their body type and its needs. One thing that must be remembered is that it is better to spend money on maintaining health rather than on medicines. Rest – This is another important requirement to maintain good health. It has been studied that an adult requires a sound sleep of about 7 − 8 hours. Those who perform heavy exercises must take proper rest as that will help their tissues and muscles to rest and grow better. There are certain petty things that should be ensured. Keeping you cell phone in silent mode or switching it off will definitely help in getting a sound sleep. Sufficient Intake of Water – As it is known by everyone that water constitutes 70% of our body mass, it is the prime component of human body. Sufficient intake of water helps in flushing out impurities from the body, which are also known as toxins. A buildup of these toxins results in serious diseases. Therefore, daily intake of sufficient water is utterly necessary to maintain good health. Routine Checkups – having routine checkups is also another important thing that must be done. It helps in keeping a tab on your body and taking care of it in case it malfunctions even in the slightest way. Keeping all these things in mind will helps in maintain good health and keeping all health conditions at bay. I always prepare some water whenever I go out for a run. Personally I prefer drinking thirst quenchers like Gatorade, and I only take water to keep myself cleansed and toxin-free.